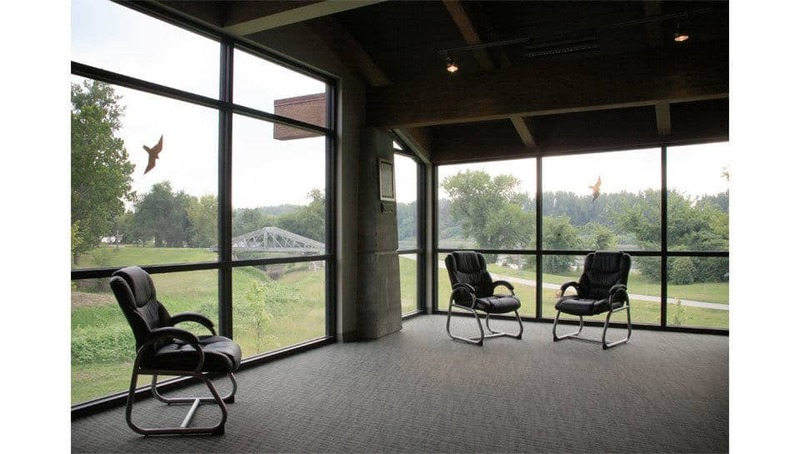 Remington Nature Center - PWArchitects, Inc.
PWA teamed with the City of St. Joseph, the Missouri Department of Conservation and engineering and landscape design consultants to design the $4.5 million nature center that is the “crown jewel” of St. Joseph’s riverfront development. 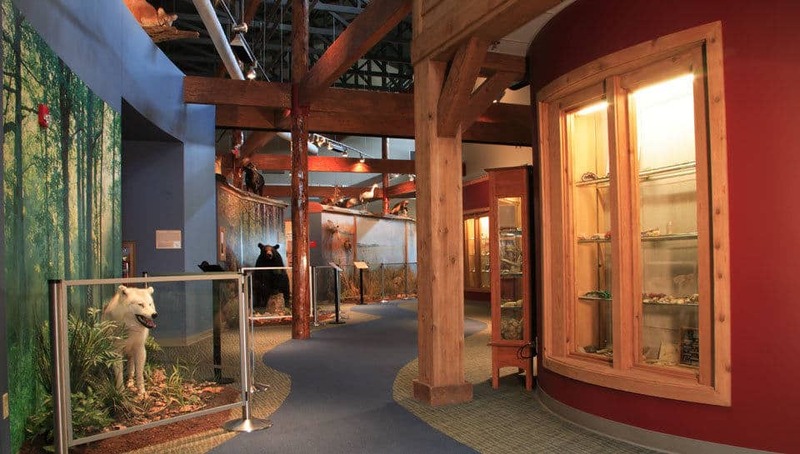 The design for the nature center includes approximately 5,000 square feet of exhibit space, an auditorium, classrooms, an aquarium, cafe, offices, and outdoor viewing areas. 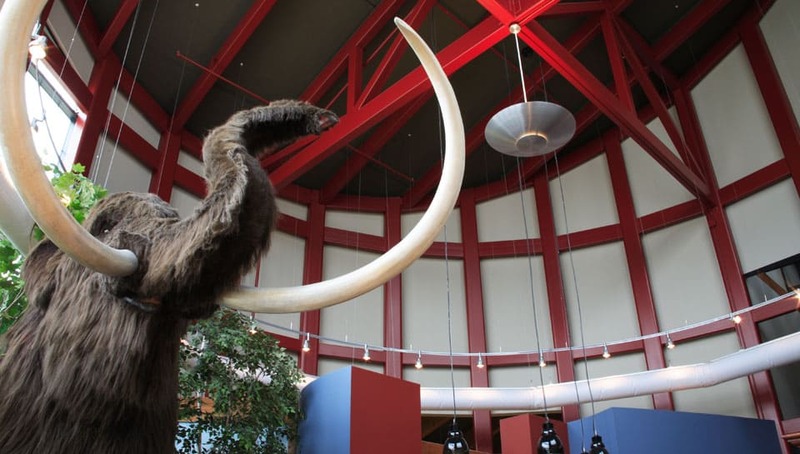 The project team incorporated sustainable design processes and materials into the design of the 15,000 square foot facility. 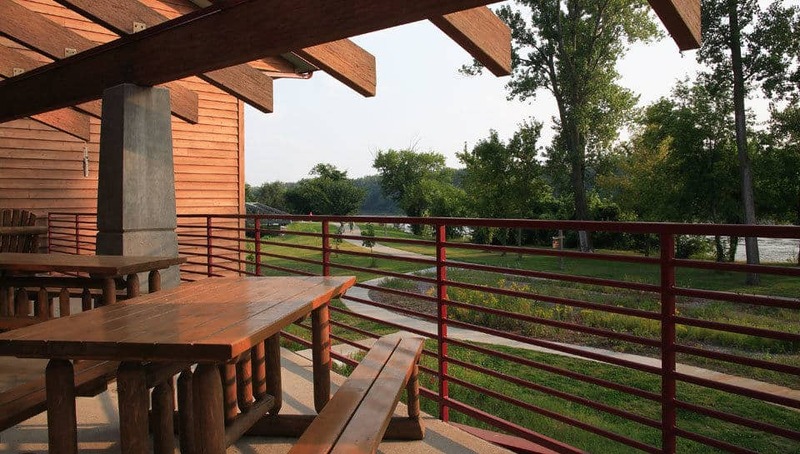 From the beginning, the team sought to develop a landscape/site and building design that would harmonize with the overall goals of the project and maximize the natural beauty of the project site. 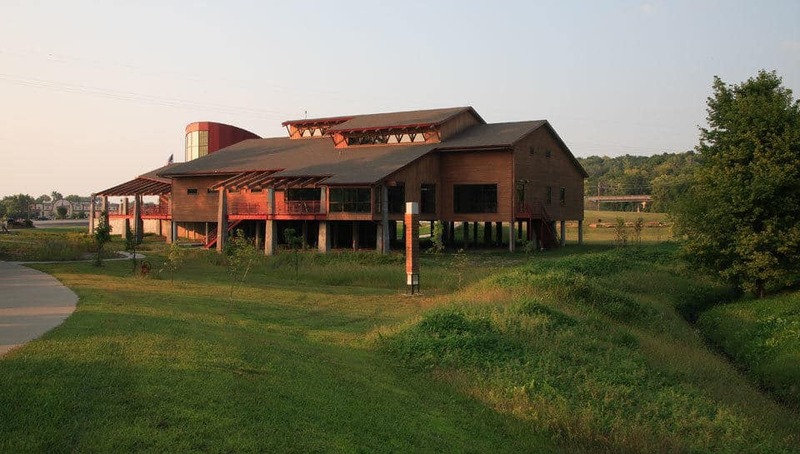 Working closely with the client, they found ways to reduce energy loads, conserve water, minimize waste, and promote the health and satisfaction of the users and visitors of the facility while furthering the goals of the City of St. Joseph and other organizations that would use the building. As a result, the orientation, layout, and form of the building’s architecture are well integrated with the surrounding landscape. 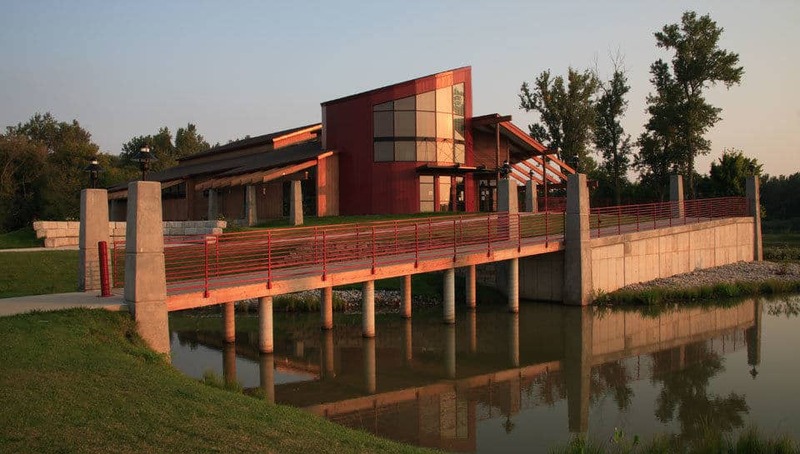 The Nature Center’s location in the Missouri River floodplain required that it be raised above the 100-year flood plain. The PWA team’s solution was to raise the building on 12- to 13-foot piers and provide flood proof doors on the lower level storage rooms. Increase light level efficiency and energy consumption.